1Department of Industrial Engineering, Faculty of Engineering, Islamic Azad University, North Tehran Branch, Tehran, Iran. 2Department of Industrial Engineering, K.N. Toosi University of Technology, Tehran, Iran. One of the main challenges of strategic management is implementing the strategies. Designing the strategy map in Balanced Scorecard framework to determine the causality between strategic objectives is one of the most important issues in implementing the strategies. In designing the strategy map with intuition and judgment, the link between strategic objectives is not clear and it is not obvious which strategic objectives are related and influenced each other. Hence, it is essential to offer a quantitative and accurate method to design the strategy map and clarify these relationships. In this paper, after reviewing the methods for determining the causal relationships among BSC perspectives in the literature, a framework on the basis of historical data analysis and multi-response surface regression analysis is offered to determine causal relationships among strategic objectives with respect to data of key performance measures of past years in order to obtain the coefficients and equations that can be used in the prediction of the responses. Using statistically significant models, the correlations between the factors and several responses were acquired. The presented quantitative approach is useful for determining the causal relationships resulting in an accurate strategy map and is a supporting approach for improving decision makers’ opinions and enabling them to reach a more accurate picture of the relationships. This research also presents a case study to demonstrate the applicability of the proposed approach. The application and implication of the proposed method in a real case show that the contributions of the research are not only theoretical but practical as well. The strategy map constructed in this study can also serve as a reference point for similar businesses. Abernethy, M.A., Horne, M., Lillis, A.M., Malina, M.A., and Selto, F.H., (2005). “A multi-method approach to building causal performance maps from expert knowledge”, Management Accounting Research, Vol. 16, No.2, pp.135–155. Achterbergh, J., Beeres,R., and Vriens, D., (2003). “Does the balanced scorecard support organizational viability?”, Kybernetes, Vol. 32, No. 9/10, pp. 1387-1404. Ahn, H., (2001). “Applying the Balanced Scorecard concept: an experience report”, long Range Planning, August, Vol. 34, No.2, pp. 441-461. Alolah, T.A., Stewart, R.A., Panuwatwanich, and Mohamed, Sh., (2014). “Determining the causal relationships among balanced scorecard perspectives on school safety performance: Case of Saudi Arabia”, Accident Analysis and Prevention, Vol. 68, pp. 57–74. Anderson M.J., and Whitcomb P.J., (2017). RSM simplified – Optimizing Processes Using Response Surface Methods for Design of Experiments. CRC Press, Taylor & Francis Group, Second edition. Atkinson, H., (2006). “Strategy implementation: a role for the balanced scorecard?”, Management Decision, Vol. 44, No. 10, pp. 1441-1460. Atkinson, A.A., Kaplan, R.S., Matsumura, E.M. and Young, S.M., (2011). Information for Decision-Making and Strategy Execution. Management Accounting, 6th Edition, Pearson, NJ. Azofra V., Prieto, B., and Santidrian A., (2003). “The Usefulness of a Performance Measurement System in the Daily Life of An Organization: A Note on a Case Study”, The British Accounting Review, Vol.35, pp. 367-384. Banker, R.D., Chang, H., and Pizzini, M.J., (2011). “The judgmental effects of strategy maps in balanced scorecard performance evaluations”, International Journal of Accounting Information Systems, Vol.12, No.4, pp.259–279. Bresciani, S., Jianxin, G. and Yaru, N., (2014). “Improving attitude toward corporate strategy with visual mapping: scale development and application in Europe and China”, Frontiers of Business Research in China, Vol. 8, No. 4, pp. 480-499. Bruno, H., (2005). “Resources that drive performance: an empirical investigation”, International Journal of Productivity and Performance Management, Vol. 54, No. 5/6, pp. 340-354. Bryant, L., Jones, D.A. and Widener, S.K., (2004). “Managing value creation within the firm: An examination of multiple performance measures”, Journal of Management Accounting Research, Vol. 16 No. 1, pp. 107-131. Buytendijk F., Hatch T., and Micheli P., (2010). “Scenario-based strategy maps”, Business Horizons, Vol. 53, No. 4, pp. 335-347. Cardoso de Salles, D., Celestino Gonçalves Neto, A., and Guimarães Marujo, L., (2016). “Using fuzzy logic to implement decision policies in system dynamics models”, Expert Systems with Applications, Vol. 55, pp.172–183. Chan, Y.C.L., (2006). “An Analytic Hierarchy Framework for Evaluating Balanced Scorecards of Healthcare Organizations”, Canadian Journal of Administrative Sciences, Vol. 23, No. 2, pp. 85-104. Cohen, S., Thiraios, D. and Kandilorou, M., (2008). “Performance parameters interrelations from a balanced scorecard perspective”, Managerial Auditing Journal, Vol. 23, No. 5, pp. 485 –503. 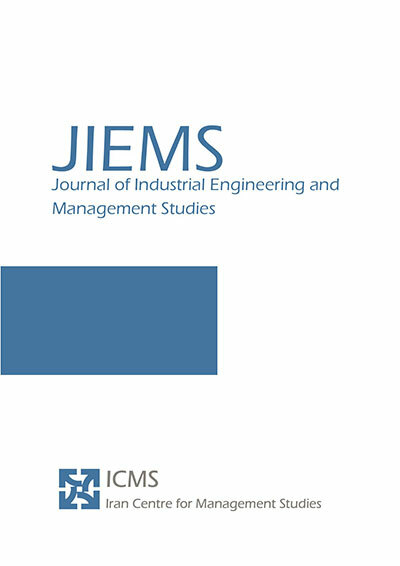 Cao, Y., Zhao, K., Yang, J., and Xiong, W., (2015), “Constructing the integrated strategic performance indicator system for manufacturing companies”, International Journal of Production Research, Vol. 53, No. 13, pp. 4102-4116. Evans, N., (2005). “Assessing the balanced scorecard as a management tool for hotels”, International Journal of Contemporary Hospitality Management, Vol. 17, No. 5, pp. 376-90. Falatoonitoosi, E., Sorooshian, Sh., Leman, Z., (2012). “Casual strategy mapping using integrated BSC and MCDM DEMATEL”, Journal of American Science, Vol. 8, No. 5, pp. 424- 428. Farokhi, S., and Roghanian, E., (2018). “Determining quantitative targets for performance measures in the balanced scorecard method using response surface methodology”, Management Decision, https://doi.org/10.1108/MD-08-2017-0772. Glykas, M., (2012a). “Fuzzy cognitive strategic maps in business process performance measurement”, Expert Systems with Applications, Vol. 40, No. 1, pp.1-14. Glykas, M., (2012b). “Performance measurement scenarios with fuzzy cognitive strategic maps”, International Journal of Information Management, Vol. 32, No. 2, pp.182-195. Gonzalez, J.M.H., Calderon, M.A. and Gonzalez, G.L.G., (2012). “The alignment of managers’ mental models with the balanced scorecard strategy map”, Total Quality Management, Vol. 23, No. 5, pp. 613-628. Hair, J.F., Anderson, R.E., Tatham, R.L., and Black, W.C., (1995). Multivariate Data Analysis, Prentice Hall International Inc., New York. Hashemkhani Zolfani, S., and Safaei Ghadikolaei, A., (2013). “Performance evaluation of private universities based on balanced scorecard: empirical study based on Iran”, Journal of Business Economics and Management, Vol. 14, No. 4, pp.696-714. Hoque, Z., (2014). “20 years of studies on the balanced scorecard: Trends, accomplishments, gaps and opportunities for future research”, The British Accounting View, Vol. 46, No. 1, pp. 33-59. Hu, Bo., Leopold-Wildburger, U., and Strohhecker, j., (2016). “Strategy Map Concepts in a Balanced Scorecard Cockpit Improve Performance”, European Journal of Operational Research, Vol. 258, No. 2, pp. 664-676. Huang, H.C., Chu, W., Lai, M.C. and Lin, L.H., (2008). “Strategic linkage process and value driven system: A dynamic analysis of high-tech firms in a newly-industrialized country”, Expert Systems with Applications, Vol. 36, No. 2, pp. 1-10. Huang. H-Ch., (2009). “Designing a knowledge-based system for strategic planning: A balanced scorecard perspective”, Expert Systems with Applications, Vol. 36, No. 1, pp. 209–218. Ip, Y.K., Koo, L.C., (2004). “BSQ Strategic Formulation Framework a Hybrid of Balanced Scorecard_SWOT Analysis and Quality Function Deployment”, Managerial Auditing Journal, Vol. 19, No. 4, pp. 533-543. Jackson, J.E., (2003). A User’s Guide to Principal Components, Hoboken, New Jersey. Jassbi, J., Mohamadnejad, F., and Nasrollahzadeh, H., (2011). “A Fuzzy DEMATEL framework for modeling cause and effect relationships of strategy map”, Expert Systems with Applications, Vol. 38, No. 5, pp.5967–5973. Johnson, R.A., and Wichern, D.W., (2002). Applied multivariate statistical analysis. Prentice-Hall, Inc. Fifth Edition. Kala, D., and Bagri, S.C., (2016). “Designing the strategy map for hotels with key performance indicators of balanced scorecard using DEMATEL technique”, Int. J. Business Excellence, Vol. 10, No. 2, pp.240–263. Kaplan, R.S., and Norton, D.P., (2004a). Strategy Maps: Converting Intangible Assets into Tangible Outcomes. Harvard Business School Press, Boston. Kaplan, R.S.,and Norton, D.P., (2008). Execution Premium, Harvard Business School Press. Kaplan, R.S., and Norton. D.P., (1996a). Translating strategy into action, the Balanced Scorecard. Harvard Business School Press, Boston. Kaplan, R.S., and Norton, D.P., (1996b). “Using the balanced scorecard as a strategic management system”, Harvard Business Review, Vol. 74, No. 2, pp. 70-82.
kim, K-J., and Lin, DK. J. (2006). “Optimization of multiple responses considering both location and dispersion effects”, European Journal of Operational Research, Vol. 169, No. 1, pp.133–145. Kunz, H., and Schaaf, Th., (2011). “General and specific formalization approach for a Balanced Scorecard: An expert system with application in health care”, Expert Systems with Applications, Vol. 38, No.3, pp.1947–1955. Khuri, A., (2006). Response Surface Methodology and Related Topics. World Scientific Publishing Co. Pte. Ltd., Singapore. Leung, L., Lam, K., and Cao, D., (2006). “Implementing the Balanced Scorecard using the Analytic Hierarchy Process & the Analytic Network Process”, Journal of the Operational Research Society, Vol. 57, pp. 682–691. Lin, Y.H., Chen. C.C., Tsai, C.F.M., and Tseng. M-L., (2014). “Balanced scorecard performance evaluation in a closed-loop hierarchical model under uncertainty”, Applied Soft Computing, Vol. 24, pp. 1022-1032. López-Ospina, H., Quezada, L.E., Barros-Castro, R.A., Gonzalez, M.A., and Palominos, P.I. (2017), “A method for designing strategy maps using DEMATEL and linear programming”, Management Decision. Vol. 55, No. 8, pp. 1802-1823. Lueg, R., (2015). “Strategy maps: the essential link between the balanced scorecard and action”, Journal of Business Strategy, Vol. 36, No. 2, pp. 34 – 40. Malmi, T., (2001). “Balanced scorecards in Finnish companies: a research note”, Management Accounting Research, Vol. 12, pp. 207-20. Montgomery, D.C., (2017). Design and analysis of experiments, John Wiley & Sons, ninth edition. Morard, B., Stancu, A., and Jeannette, C. (2013), “Time evolution analysis and forecast of key performance indicators in a balanced scorecard”, Global Journal of Business Research, Vol. 7, No. 2, pp. 9-27. Niven P. R., (2008). “Balanced Scorecard: Step by Step for Government and Nonprofit Agencies”, John Wiley & Sons; 2 Edition. Norreklit, H., (2012). “The balance on the Balanced Scorecard; a critical analysis of some of its assumptions”, Management Accounting Research, Vol. 11, pp. 65–88. Nudurupati, S.S., Bititci, U.S., Kumar,V, and Chan, F.T.S. (2010), “State of the art literature review on performance measurement”, Computers and Industrial Engineering, Vol. 60, No. 2, pp.1-12. Othman, R., (2006). “Balanced scorecard and causal model development: preliminary findings”, Management Decision, Vol. 44, No. 5, pp. 690-702. Papalexadris, A., Loannou, G.P., and Soderquist, K.E., (2005). “An Integrated Methodology for Putting the Balanced Scorecard into Action”, European Management Journal, Vol. 23, No. 2, pp. 214-227. Park, S., Lee, H., and Chae, S.W., (2017). “Rethinking balanced scorecard (BSC) measures: formative versus reflective measurement models”, International Journal of Productivity and Performance Management, Vol. 66, No. 1, pp. 92 – 110. Parmenter D., (2015). Key Performance Indicators: Developing, Implementing, and Using Winning KPIs, John Wiley & Sons, Inc., Third Edition. Peral, J., Maté, A., and Marco, M., (2017). “Application of Data Mining techniques to identify relevant Key Performance Indicators”, Computer Standards & Interfaces, Vol. 50, pp. 55–64. Pérez, C. A., Montequín, V.R., Fernández, F.O., and Balsera, J.V., (2017), “Integration of BSC, Strategy Map, and Fuzzy Analytic Hierarchy Process for a Sustainability Business Framework: A Case Study of a Spanish Software Factory in the Financial Sector”, Sustainability, doi: 10.3390/su9040527. Perlman, Y., (2013), “Causal relationships in the balanced scorecard: A path analysis approach”, Journal of Management and Strategy, Vol. 4, No. 1, pp. 70-79. Porporato, M., Tsasis, P., Maria, L., and Vinuesa, M., (2017). “Do hospital balanced scorecard measures reflect cause effect relationships?”, International Journal of Productivity and Performance Management, Vol. 66, No. 3, pp. 338-361. Quezada, L.E., López-Ospina, H.A., Palominos, P.I., and Oddershede, A., (2018). Identifying Causal Relationships in Strategy Maps using ANP and DEMATEL, Computers & Industrial Engineering, doi: https://doi.org/10.1016/j.cie.2018.02.020. Rigby, D., and Bilodeau, B., (2013). Management Tools and Trends. London: Bain & Company. Ren, J., Manzardo, A., Toniolo, S., and Scipioni, A., (2013). “Sustainability of hydrogen supply chain. Part I: Identification of critical criteria and cause–effect analysis for enhancing the sustainability using DEMATEL”, International Journal of Hydrogen Energy, Vol. 38, No.33, pp. 14159-14171. Rodriguez, R.R., Alfaro Saiz, J.J., and Ortiz Bas, A., (2009). “Quantitative relationships between key performance indicators for supporting decision-making processes”, Computers in Industry, Vol. 60, No. 2, pp.104–113. Rompho, N., (2012). “An experiment in the usefulness of a strategy map”, Measuring Business Excellence, Vol. 16, No. 2, pp. 55-69. Rydzak, F., Magnuszewski P., Pietruszewski P., Sendzimir J., and Chlebus E., (2004). Teaching the Dynamic Balanced Scorecard, Proceedings of 22nd International Conference, System Dynamics Society. Sachin, K., and Ravi Kant, P., (2014). “A hybrid approach based on fuzzy DEMATEL and FMCDM to predict success of knowledge management adoption in supply chain”, Applied Soft Computing, Vol. 18, No.1, pp. 126-135. Salas, K., and Huxley C., (2014). “Enhancing visualization to communicate and execute strategy”, Journal of Strategy and Management, Vol. 7, No. 2, pp. 109 – 126. Sayed, N., Lento, C., (2018). “Developing a Strategy Map for Environmental Consulting Firms”, International Journal of Productivity and Performance Management, https://doi.org/10.1108/IJPPM-06-2017-0139. Scholey, C., (2005). “Strategy maps: a step-by-step guide to measuring, managing and communicating”, The Journal of Business Strategy, Vol. 26, No. 3, pp. 12-19. Seyedhosseini, S.M., and Soloukdar, A., (2011). “Recognition Dynamic Model of World Class Manufacturing in Iranian Automotive Industry”, Australian Journal of Basic and Applied Sciences, Vol.5, No.9, pp. 182-189. Seyedhosseini, S.M., Taleghani, A.E., Bakhsha, A., and Partovi, S., (2011). “Extracting leanness criteria by employing the concept of Balanced Scorecard”, Expert Systems with Applications, Vol. 38, No. 8, pp. 10454–10461. Shaik, M.N., and Abdul-Kader, W., (2014). “Comprehensive performance measurement and causal-effect decision making model for reverse logistics enterprise”, Computers & Industrial Engineering, Vol. 68, No. 1, pp. 87-103. Shahsavari-Pour, N., Asadi, H, Asadi-Pasoojani, M., Kazemi, M, Mirzaie, A., and Karami, M., (2017). “A new approach for building a strategy map based on digraph theory”, International Journal of Applied Management Science, Vol. 9, No.1, pp.1-18. Showing, H., and Chiang.kuo tu., (2004). Exploring some dynamically aligned principles of developing a balanced scorecard, 22nd International Conference of the System Dynamics Society. Speckbachera, G., Bischofb, J., and Pfeifferc, Th., (2003). “A descriptive analysis on the implementation of Balanced Scorecards in German-speaking countries”, Management Accounting Research, Vol.14, No. 4, pp. 361–388. Tapionos, E., Dyson, R., and Meadows, M., (2005). “The Impact of performance Measurement in Strategic Planning”, International Journal of Productivity and Performance Management, Vol. 54, No. 5/6, pp. 370-384. Thakkar, J., Deshmukh, S.G., Gupta, A.D., and Shankar, R., (2007). “Development of a Balanced Scorecard an Integrated Approach of Interpretive Structural Modeling (ISM) and Analytic Network Process (ANP)”, International Journal of Productivity and Performance Management, Vol. 56, No. 1, pp. 25-59. Tseng, M. L., (2010). “Implementation and performance evaluation using the fuzzy network balanced scorecard”, Computers and Education, Vol. 55, No. 1, pp. 188-201. Valmohammadi, Ch., and Sofiyabadi, j., (2015). “Modeling cause and effect relationships of strategy map using Fuzzy DEMATEL and fourth generation of balanced scorecard”, Benchmarking: An International Journal, Vol. 22, No. 6, pp.1175-1191. Wu, H. Y., (2012). “Constructing a strategy map for banking institutions with key performance indicators of the balanced scorecard”, Evaluation and Program Planning, Vol. 35, No. 3, pp. 303-320. Wudhikarn, R., (2016). “An efficient resource allocation in strategic management using a novel hybrid method”, Management Decision, Vol. 54, No. 7, pp.1702-1731. Yang, M.C. and Tung, Y.C., (2006), “Using path analysis to examine causal relationships among balanced scorecard performance indicators for general hospitals: The case of a public hospital system in Taiwan”, Healthcare Management Review, Vol. 31, No. 4, pp. 280-288. Yang, G., Macnab, A., Yang, L., and Fan, Ch., (2015). “Developing performance measures and setting their targets for national research institutes based on strategy maps”, Journal of Science & Technology Policy Management, Vol. 6, No. 2, pp. 165 – 186. Zahoor, A., and Sahaf, M.A., (2018). “Investigating causal linkages in the balanced scorecard: an Indian perspective”, International Journal of Bank Marketing, https://doi.org/10.1108/IJBM-09-2016-0128. Zhou, W., and Kapoor, G., (2011). “Detecting evolutionary financial statement fraud”, Decision Support Systems, Vol. 50, pp. 570–575.